It goes without saying that fantasy football is a pretty lucrative business these days. With this being the case, outlets like ESPN want to keep you up to date on all the latest injury information, and they generally do a pretty good job of that. Then there are times like Tuesday where they not only will they keep you updated on the injuries, but they’ll also be nice enough to make sure that you never get another good night’s sleep in your life. 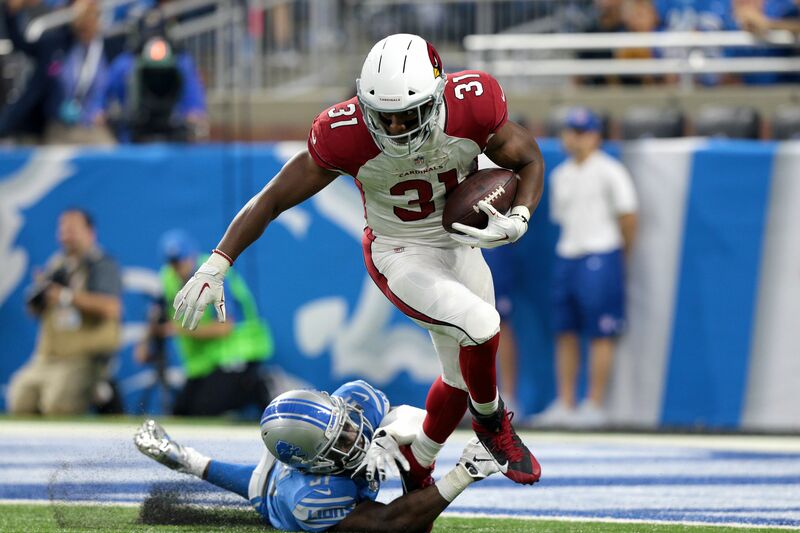 As everyone knows, one of the more significant fantasy football injuries coming out of Week 1 of the 2017 NFL season was that to Arizona Cardinals running back David Johnson, who unfortunately suffered a broken wrist that will be keeping him out for a while, stressing out a lot of fantasy owners in the process. However, I’m not sure what’s more stressing. Being a fantasy owner and losing Johnson, or having to watch the way ESPN described the injury on Tuesday. It’s amazing — it really is. One of the creepiest movies ever is out in theaters now with IT, yet here is ESPN of all places maybe giving us the creepiest thing out there in the world right now. Now go ahead and watch that over and over and try to sleep comfortably tonight. Oh, that’s not enough? Well then, let’s say hello to skeleton’s creepy friend, Mr. Muscle Man. Okay, I really do need to know how this came about. Like, was this something that was seriously considered in a board room with straight faces in the ESPN office or was this just something they thought would be hilarious to put on television during the afternoon? Whatever the case, we will all never be the same again, so thank you for that, ESPN.